ASG Laser for TAC4.5 and TAC6 rifles. 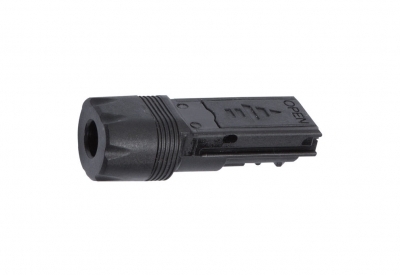 Ingenious laser aiming module, designed especially for the TAC series CO2 powered rifles. It slides into the designated mounting bay on the rifle, and is easily removed by a press on release button. The laser is fully adjustable for windage and elevation and features an ambidextrous activation switch that can be activated on either side. Uses 3xLR41 batteries are included.